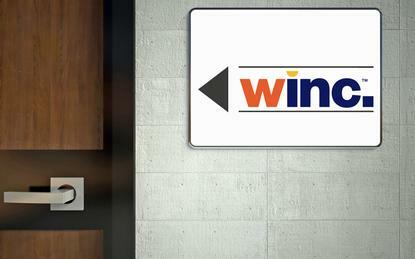 Investor undertakes to sell Winc NZ, which also resells a range of ICT products. Winc is now for sale. Platinum Equity has agreed to sell office products and ICT supplier Winc New Zealand in order to push ahead with its planned acquisition of OfficeMax Holdings. In November, competition regulator the Commerce Commission joined High Court injunction proceedings initiated by Complete Office Supplies to prevent the private equity firm from acquiring OfficeMax. Platinum and OfficeMax had not applied for clearance and the Commission was concerned the acquisition would be likely to substantially lessen competition in the supply of stationery and office products to large corporate and government customers. Winc, formerly known as Staples, also resells a range of ICT services including business intelligence software and cloud, database and security products. Platinum has provided an undertaking to the Commission and the Court committing to divest Winc to a purchaser approved by the Commission once Platinum acquires OfficeMax. Proceedings will remain before the Court until Platinum has completed the divestment. Australia's competition watchdog gave the go-ahead for Platinum's acquisition of both OfficeMax and Winc in February.